In great demand by collectors in the "extremely fine" grade, 1891 Indian head penny value is triple lesser grades. Most 1891 pennies surviving today are of poor quality the result of heavy wear. Although not as plentiful as later years enough of these low grade coins exist to keep the value to the minimum. However the available number of top quality, well preserved 1891 pennies is low. 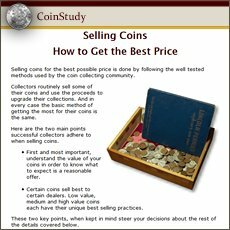 Collectors must offer prices multiples of the minimum to convince a seller to part with a better than average coin. Determining the condition of your coin and how it compares to the grading images and description below beings to close in on its value. The presence or absence of very distinct details according to wear are used to judge and "grade" your coin. 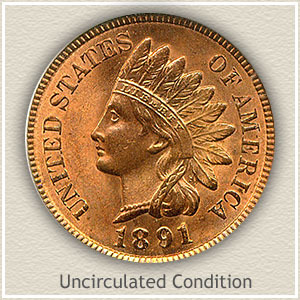 At the top of 1891 Indian head penny value is the "uncirculated" example pictured. Notable that it never circulated and its surfaces are wear free. 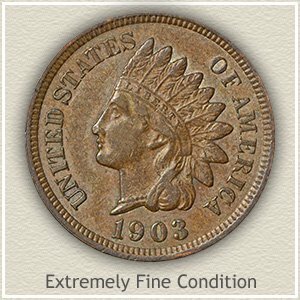 It requires the perfect combination of luster, toning, lack of marks and abrasions and bold strike to qualify as a contender for one of the finest known 1891 Indian pennies. Pictured is a stunning example that exceeds all expectations of gem quality. Starting with a crisp bold strike, every design detail is visible. Original copper luster remains on most of the surfaces, with a light orange-red toning lying on just the highest points. The common marks and nicks found on most are fortunately missing, rendering an undisturbed coin. 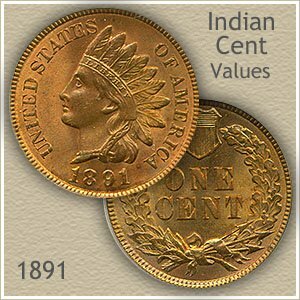 Values of these gem quality 1891 Indian pennies continue to rise higher as the occasional rare example appears on the market. David Lawrence rare coin auctions offered this gem, drawing interest from many bidders. Several bids later the price reached $833. With an upside potential into the hundreds your coin requires a deliberate judgment of its condition to realize its true value. Condition of your 1891 penny is the deciding factor to how much its worth. Judging a coin’s state of preservation is known as "grading" by dealers and collectors. How well it survived and the amount of wear to its surfaces determines value. Noticeable features separate the varying degrees of possible wear, and the differences are highlighted below. Uncirculated: For a coin to grade "uncirculated" and at the top of 1891 Indian head penny value no wear is present to its surfaces. Close examination is made to the ends of the feathers, hair and headband above her eyebrow and cheek and neck. You are looking for a slight flattening to the normal roundness of the designs. Wear also appears as a slightly different color in the metal, compared to the surrounding non abraded surface. Extremely Fine: In "extremely fine" condition all parts of the design remain boldly defined. Only on the highest parts of the coin is evidence of a flatting to the normally rounded surfaces. One area subject to initial wear is the finer details towards the tips of the feathers. Only the very ends of the feathers should show wear. 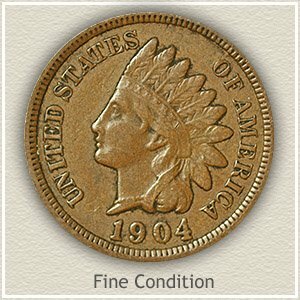 Fine: Worn somewhat flat but all major details clear describes an 1891 Indian penny in "fine" condition. Her chin and cheek has worn flat, much of the finer detail separating the curls of hair are smoothed into one. The headdress is recognizable with the headband and feathers separated. Overall a bold image remains. Good: Worn to a shallow relief with little detail remaining describes a coin in "good" condition. The area surrounding the eye is slightly defined. Just visible is a separation of chin and neck. The headdress and feathers are worn smooth showing just an outline. Although the lettering and date are heavily worn they should be separated from the rim. Your 1891 Indian head penny value may be at the low end of the scale but because of its history they remain an important coin. $1 to 2 dollars for common dates. With many advanced collectors pursuing Indian pennies the rare dates along with your 1891 Indian head penny value are moving higher. As always better condition coins are especially sought. Today your box of old coins has never been more valuable. 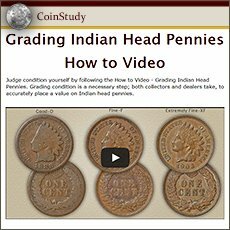 Accurate penny values are found by using the grading images and descriptions to judge condition of your coins. Next, check the date and values on the charts covering each series of US pennies. Discover all the rare varieties, dates and mintmarks combinations. All old US coin values. The home page is an excellent index, quickly leading to the major coin series. From Cents to Gold. Each with grading images and value charts, the combination of the two finds the value of your old coins. Easily sort and value your coins. An important step in preparing for selling and finding coin buyers.